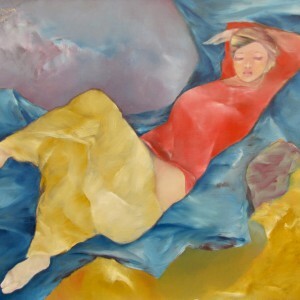 While people dream while in deep slumber, they are totally themselves, putting aside all social masks. 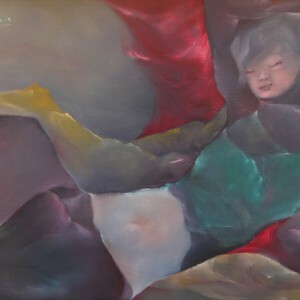 That is why sleeping people are beautiful. 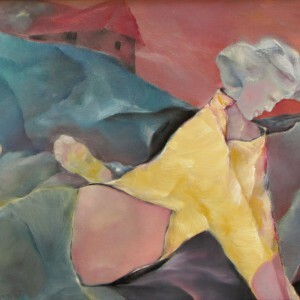 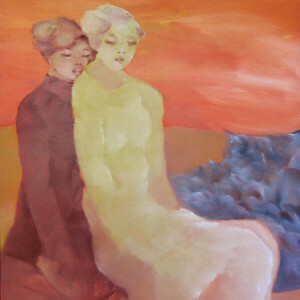 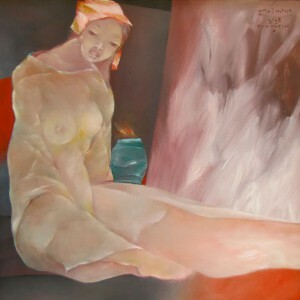 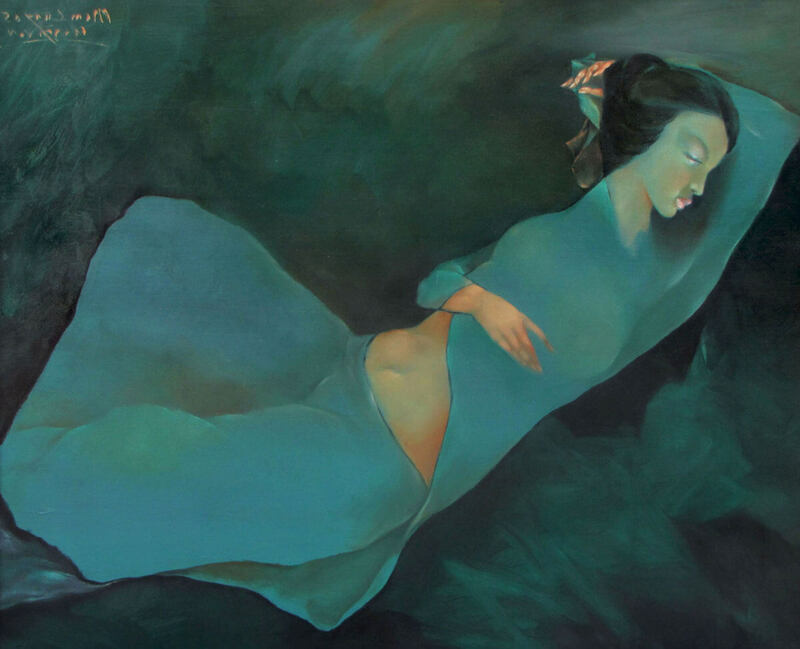 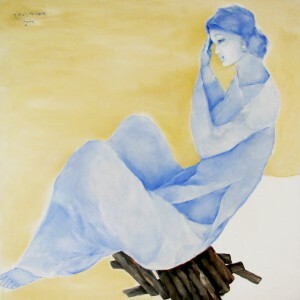 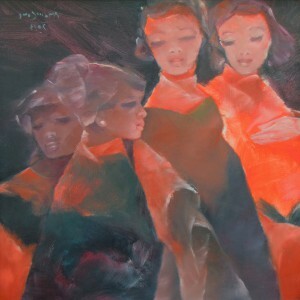 Sleeping woman has been a source of artistic inspiration for many masters, including Asian painter Pham Cung. 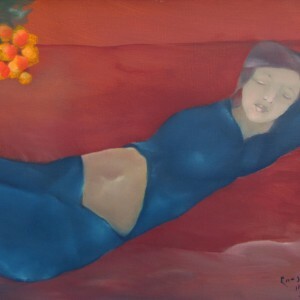 In this canvas, he depicts the sleeping woman in an airy Chagall-like manner, bringing her inner beauty to the fore.